Trine studio Frozenbyte has stated that the future of the series - which has sold 7 million copies to date - could be in jeopardy following the scathing reaction to Trine 3: The Artefacts of Power's PC release. The game launched on Steam last week but has thus far received a rather negative reaction, with players lamenting its short length and high price. Some have accused Frozenbyte of holding back elements for paid-for DLC, a theory which seems to be lent added credence by the fact that the game ends with a cliffhanger, hinting at a progressing storyline. I will say that we are proud of the game and what we have achieved overall. We think it's a fun game and we don't think it's too expensive either considering all the elements we have been able to put into the game. However, our view is perhaps skewed, and we are now realizing that we have been looking at this perhaps from a different perspective and that many players do not accept that. We still think the game is good but the cliffhanger story and the relative shortness of the game are valid criticisms but ones which we didn't realize would cause a disappointment in this scale. We did not intentionally make the game 'short' as many have said in order to make money off of future DLC or whatever. We tried to make something too ambitious, and it ended up financially impossible. The finished Trine 3: The Artifacts of Power game might not be as long as we hoped initially, but something we are very proud of nonetheless, and generally around 6-7 hours is what we think new players will spend with the game on average. There are no plans for a DLC. Continuation of the story is a different matter however, but we have released everything we had and everything we aimed to release since the beginning of the Early Access. The future of the series is now in question, as the feedback, user reviews and poor media attention has caught us by surprise. Right now we need a breather to bounce back from all this. 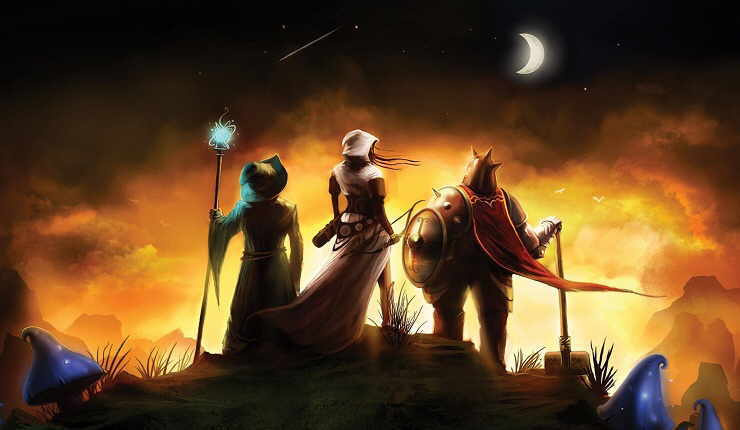 Kinnunen states that the game's budget of $5.4m - three times the budget of Trine 2 - would have ballooned to around $15m if his team had followed through on their ambitions. To bring it home on a reasonable budget, the project had to be scaled back and released in a more limited form. 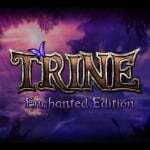 Trine and Trine 2 have both appeared on the Wii U eShop, with the latter being a launch title. While console ports of the third title have always been "TBC", there were high hopes that it would come to Nintendo's machine purely based on the fact that the franchise has been an eShop staple so far. Given this fresh news, console ports are presumably in doubt as Frozenbyte might wish to avoid a similar reaction on other formats. Were you hoping to play Trine 3 on your Wii U? Or perhaps you've already taken the plunge on PC? Let us know by posting a comment. I always found Trine 2 too long anyway, and even Trine is a little too long. So 6-7 hours for Trine 3 seems reasonable. Trine 3 looks amazing and would suit consoles (especially Wii U with the magic powers). I think Trine series might need a break for a few years though. Too many in a short space of time equals repetitveness. Then at least in a few years, it could come back with a bang with Trine 4. Or perhaps a spin off. I guessed this would happen when I saw that they were making it 3D. Trine 3 has several issues that were brought to the game especially by the bad depth perception given to players from the entirely fixed camera. If they had kept it on a 2D plane like the previous entries did, most of these issues wouldn't exist, and others could've been more easily noticed during testing. This is a good example of a dev team with great ideas who gets too used to mechanics and systems to notice potential issues for players. I dunno how the whole thing was developed, and why the issues with the 3D environment weren't brought to attention during the early access timespan, but at some point, a developer needs to relearn how to be part of his own audience instead of just the deliverer of what the audience wants. @Cyber-BLP-- This can happen to the best. Try to ignore the thoughts of failure, and believe in your project - but be realistic about yourself. As long as you can imagine people other than yourself having fun with your game, it's cool. I got it as a freebie on Steam from a website. I liked Trine 3 alot. I found the demo of Trine 2 quite fun to play. But its visual style is just too repulsive in my eyes. It's the same with Trine 3, though the camera movements look really nice. So an indie dev fell into some of the same design pitfalls that AAA companies do, and got a similar result from the audience. I'm not surprised. I want to believe in this game. It's just so damned gorgeous and the first two were great fun. Put it on the eShop for $12.99 and let me believe. Bit weird that only 2 sites have reviewed it for metacritic so far. Did they not send out review copies? It's quite a reputable series. Poor Media attention? More like poor game. It is not nearly as good as the first two and when people saw that, they stopped caring. They cannot blame the media attention when the game lacked quite a bit compared to the previous instalments. They should be happy that the media just didn't care because I doubt it would have a lot of good things to say about it. Now, it wasn't overly a bad game, there was just a LOT of stuff that just lacked overall. I loved T1 and T2, thought they were too short, simply because I enjoyed them very much and didn't want to end. I would definitely get it if T3 arrived on Wii U eshop. Where is those negative news? Its high rated among nearly all whoe played it. Even on Steam its positive. Lets not forget that it have level editor + Steam Workshop ssupport. I'd buy Trine 3 in a heartbeat, NO! 2 heartbeats. Can't seem to desperate, gotta play it cool. People liked Trine and Trine 2 for their 2.5D gameplay. The 3D world of Trine 3 just doesn't look as fun to play. @IAmDeclanJay I would love to see portable versions of Trine, think they would do well with their 3 player aspects. I supported their previous PC titles (Shadowgrounds, Shadowgrounds Survivor, Trine 1 and 2), but I expect to skip this, at least for now... because I already got too many games to play as it is. At least they didn't go belly-up yet, so they still got some hope left. @Cyber-BLP-- : interesting points. Today's audience is spoiled to the fact that a lot of work goes into the majority of games, and these artists have to be paid. Steam waters down the collective audience expectation. And with the internet and social media, God forbid an artist, developer or publisher open their mouth, they end up lambasted and alienated. Trine 3 for PC has suffered with a several silly glitches, an unplayable controller with keyboard+mouse, a bad camera angles on 3D section and a very short gameplay. The game has left so incredible unfinished that it's no surprise about getting a negative feedbacks from players. What a shame. Perhaps they should've stuck to 2.5D and gone that little bit further with it. Still, too many people are ready to criticise these days. Social media has turned everyone into a critic and media mogul. It looks very cinematigraphic! Even if it's short I hope it comes to the Wii U! They probably should have stuck with what they knew, and do some more test runs with 3D before taking the plunge. This is 1995/1996 5th gen mistakes being made, here. Super Mario 64 isn't a very long game, either, but it is highly playable. Trine 3 is much more cumbersome than both it's predecessors and past 3D platformers. Since the heyday of 3D platformers has come and gone, most experienced people have less tolerance for that mistake now than in the past. Leaving a digital-only PC game off on a cliffhanger raises the specter of DRM and future basic content being charged as DLC... But this is happening on Steam, a DRM-ridden and overpriced DLC platform, so no surprise there. If people didn't want that stuff, they would shop on somewhere like GOG or Desura instead. If the game is both short AND has a cliffhanger ending of course it's going to feel unfinished and people are going to feel upset. People are STILL upset about how the Sopranos ended and that was 8 years ago after a 6/7 season run. It's unfortunate, but people have expectations on the third game in a series based on the first 2. Was it more expensive than the first 2? I still don't own Swords and Soldiers 2 b/c the first was $10 but the 2nd was $20 and they took out online multiplayer (in the HD PS3 version). They never gave an adequate explanation for that. I was looking forward to this - have 1 on PS3 and 2 on Wii U - but I wouldn't buy it anyway with a cliffhanger ending. Always hated those. It's a bit of a surprise to me, that it is a surprise to them, that the media isn't super jazzed about a third entry in a series that doesn't really change things up all that much. I'm sure it's a great game, don't get me wrong, but it LOOKS very similar to its predecessors, so the media's reaction is unfortunately a predictable "oh, there's more Trine, nice", and not "GUYS, GUYS, you've got to check this game out!!". The article reads like Trine 3 isn't finished yet. Not sure whether Frozenbyte where hoping for Trine 4 perhaps. Perhaps they should have left trine for a few years and tried something else in the meantime? I still haven't felt compelled to finish Trine 2 (had it since it released on eshop), had my brother playing with me but we both lost interest about half way through, so personally I wouldn't rate that particular game higher than a 6. Was tempted to get the Original but because I hadn't really enjoyed 2 I decided against it. Went for Swords an Soldiers 2 instead which I enjoyed. Hopefully Frozenbyte can recover from the negativity and bring something new to the table in the future. Wow that is disappointment about the negative buzz its getting. I really liked Trine and Trine 2. Those games are as much fun to look at as they are too play. Trine 2 bored me very quickly, shine over substance. Haven't played it yet, but I'm struggling to remember any game, movie, or tv show that's ever felt satisfying with a cliffhanger ending. ...nope, can't think of any. I bought Trine 2 on sale when I bought the Wii U and trudged through it, but there was a point where the game stopped being fun and started becoming frustrating. The controls just didn't work smoothly enough for the platforming and the combat seemed forced a lot of times. I could easily see how those issues would become bigger in a 3D environment. 6-7 hours sounds ideal though. Cliffhangers are fine so long as they definitely finish the story later coughHalf LifecoughBeyond Good & Evilcough. Am I the only one who thinks 6-7 hours is pretty good for a platformer? We aren't talking about an RPG or even an adventure game here. Better this franchise need to be Wii U exclusive, it is the best for them. I have 1 & 2 and they are iconic. 6-7 hours playtime is something a lot of so-called next-gen, big budget, triple A, $60 games can only dream of having. Doesn't seem that short to me, really. How much does it cost, then? 22€ is pretty much for this kind of indie platformer/puzzle game in steam. Nintendo players are used to pay more for decent digital indie games so Trine 3 could be more liked in Wii U.
I love the first 2 games and this one look amazing. I just did not hear about it. Sad but marketing can make you or break you sometimes despite the actual time and effort you put into your product. I loved 1 and 2! Would buy 3 on Wii U. I like to hear the devs talking about their products - makes me much more likely to buy (mostly anyway). I thought this game was gorgeous when it first shown off but I am suprised that it got such a negative rep.
As always, when it arrives on the Wii u (at a decent price) I'll buy it even if it is 6-7 hours long. If the game is fun then its worth buying, but only at a decent price. 14 Euro is not a decent price by the way. I gave up 60-70% through the 2nd one. I forced myself up to that point but only a few moments were actually enjoyable. What, the third game is in 3D? That's awesome! I liked the first two games (but rearely found someone to play with), although I didn't finish them. How long were those two? That said, 20€ doesn't sound too much for the third game if you ask me. I very much enjoyed playing the first 2 Trines on my Wii U. I wouldn't hesitate to purchase Trine 3 if they released it in the eShop. I really wanted to play the third game. Hope they will still considera Wii U release!